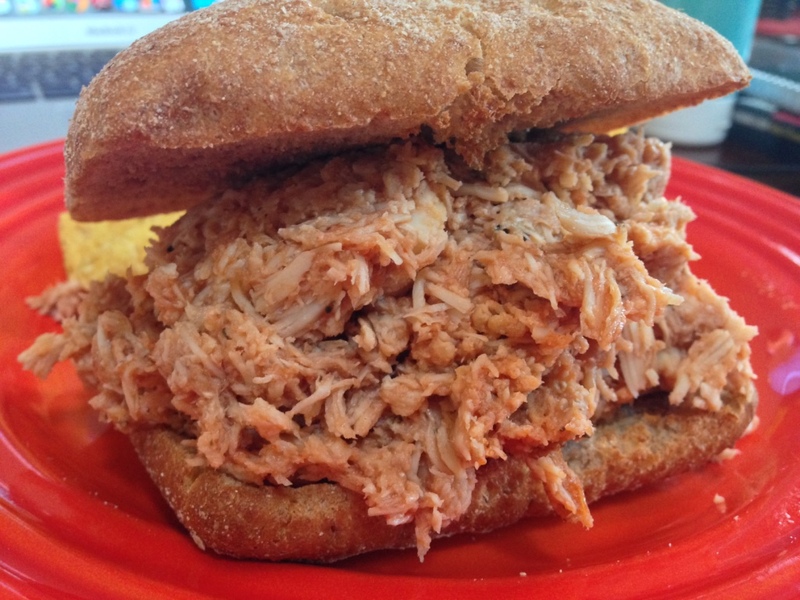 Last weekend, I decided to give our brand new crockpot a whirl and made shredded chicken. It was incredibly easy to make and gave my husband and I lunches for a week. The chicken comes out really moist and tasty. If you can’t find chicken broth (as I couldn’t in Oslo), just use 1/2 liter of water and a chicken bouillon cube. Add the chicken broth (or water and bouillon cube), salt, pepper and herbs de province into the crock pot. 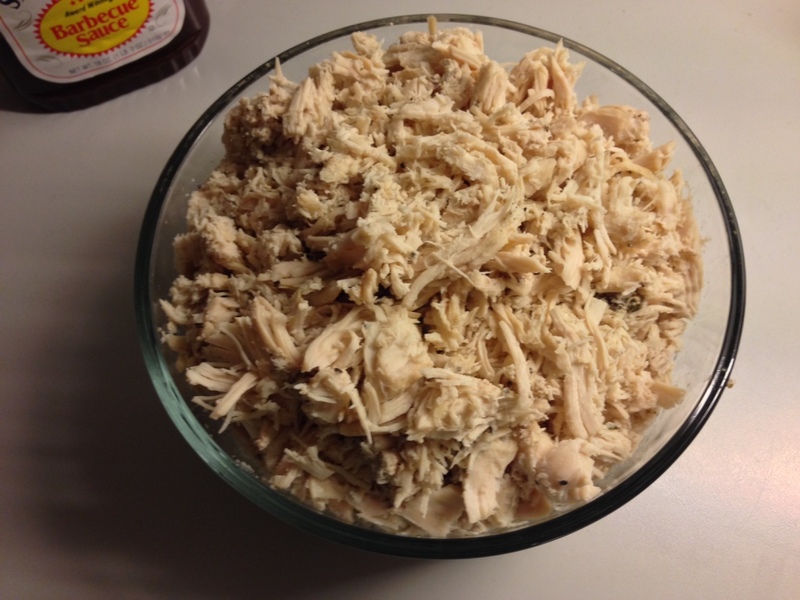 Then begin placing the chicken breasts into the crock pot – ensuring that all pieces are covered by water. Place crock pot on HIGH and cook for 4 hours. After 4 hours, you may see that there is a layer of foam or film floating in the crock pot. If possible, try to skim that out with a spoon. Use a slotted spoon and begin scooping out each chicken breast into a large bowl. If the foam is on the chicken, just knock it off before you place into the large bowl. Take two forks and begin shredding the chicken. I find it easiest to shred one chicken breast at a time. After shredding all of the chicken, add the BBQ sauce and mix. This will give you lightly sauced shredded chicken. If you prefer more sauce, please feel free to add. This should keep in the fridge for about 5 days but I recommend eating it immediately (because it’s yummy). 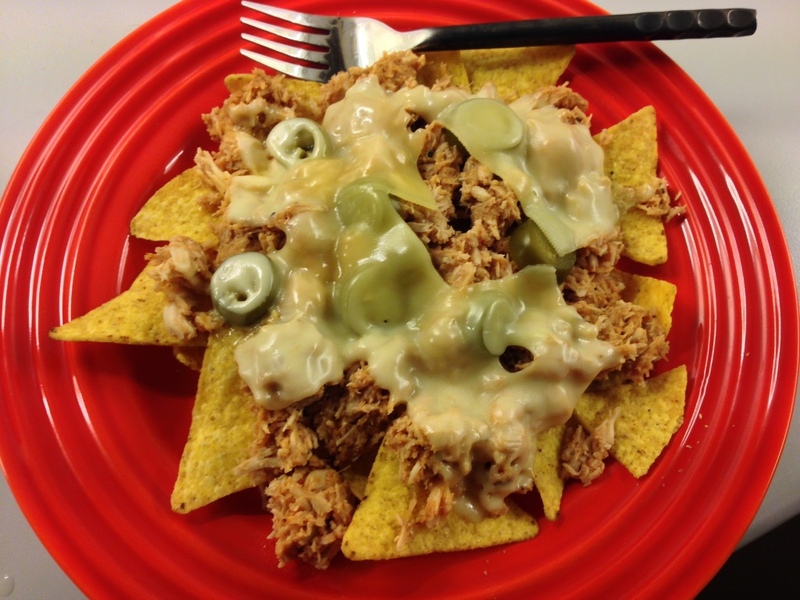 It tastes delicious on sandwiches with pickled jalapeños, on top of nacho chips with cheese, on salads or just eaten with a fork. Enjoy! Next Last Weekend’s Adventure in Stavanger!